This quick tutorial shows the basics of drawing a nose from the side view in three steps going from a rough sketch to a shaded drawing. 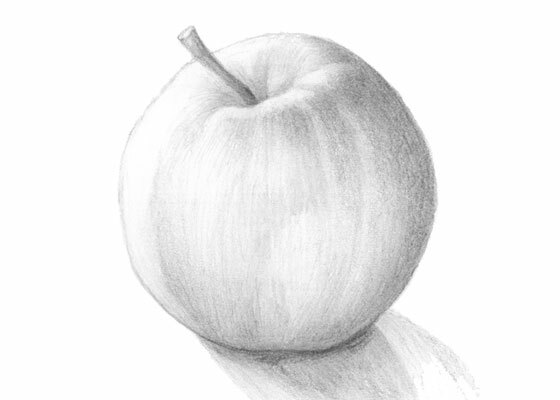 This tutorial explains how to draw an apple step by step. Though an apple is generally not that complicated to draw there is still quite a bit to it if you want to have a properly shaded refined drawing. 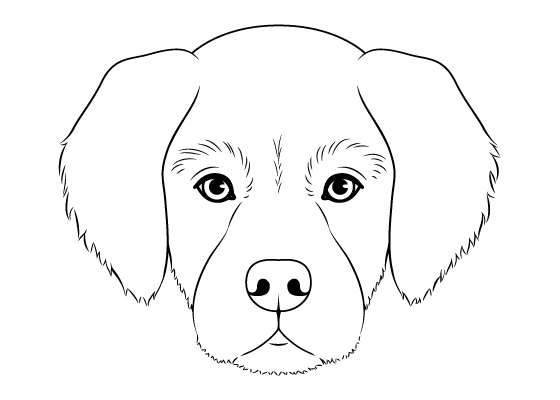 This quick and fairly easy tutorial is intended for beginners and shows some of the basics of drawing a dog’s head from the front view. The dog in this case is a Golden Retriever. 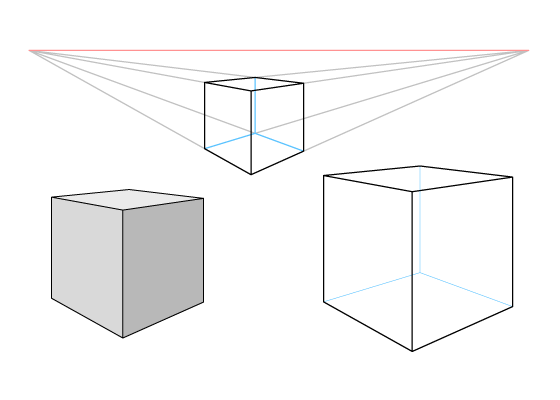 This tutorial explains perspective drawing including one, two and three point perspective. It also provides several illustrated examples of each. 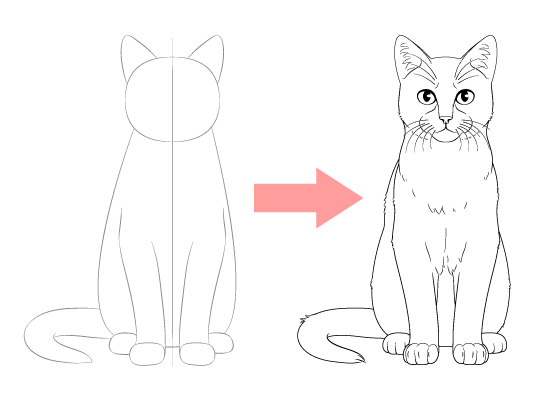 This step by step tutorial explains how to draw a sitting cat from the front view and provides detailed illustrated examples for each step. 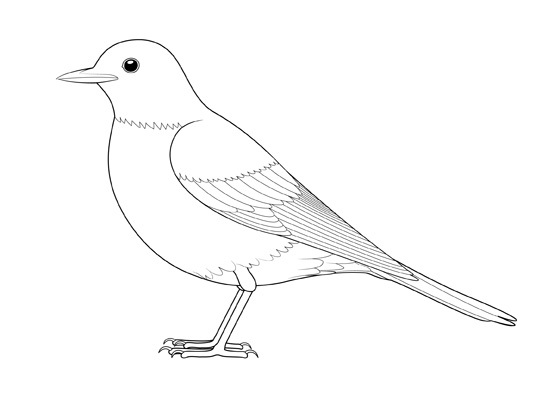 This quick tutorial explains how to draw a bird from the side view in six illustrated steps. It may be particularly helpful to beginner artists that are looking to practice with something fairly easy to draw.